For nearly a year after his motorcycle accident in November 2016, Lennie Aspeling harboured hatred towards all taxi drivers. 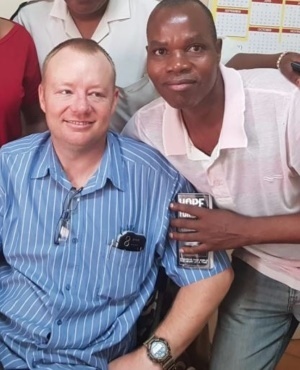 A year after the accident that left him paralysed, he decided to forgive the driver. He says he’s no longer filled with rage. 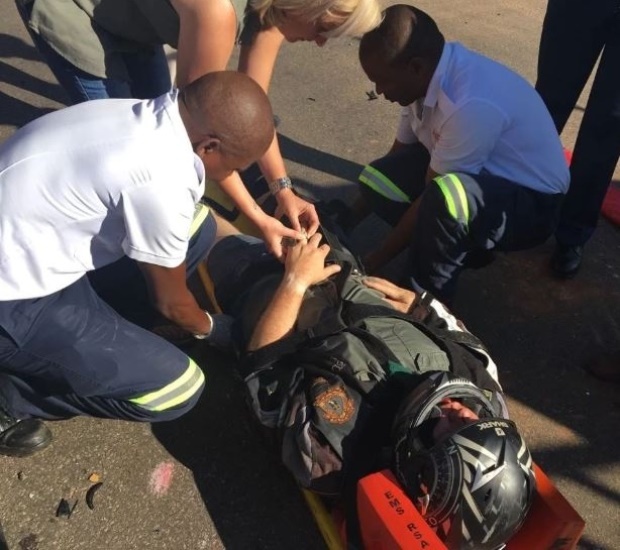 Lennie had been riding his red Honda motorbike in his hometown of Mookgophong (formerly Naboomspruit), Limpopo, when a taxi driver had turned in front of him, causing him to crash. Lennie, a grain silo manager, says he can’t remember the days following the accident. The only thing he can remember is that when he woke up, he was paralysed. The taxi driver, Frans Satekge, had been driving his uncle’s taxi without a driver’s license. His uncle had apparently needed to go to a funeral and Frans agreed to drive his taxi for the day. “I broke my back [in the crash] and I’m paralysed from the middle of my chest down,” Lennie tells YOU. “I didn’t even know what Frans looked like but I was angry at life. And I was angry at taxi drivers in general,” he says. Lennie says his entire family, including his wife, Marizaan, had to work hard at forgiveness. Marizaan had been driving behind Lennie and she saw the accident happen. “About a year after the crash we began earnestly praying for peace and forgiveness, and I started feeling this deep peace inside me. That’s when I forgave Frans,” Lennie says. 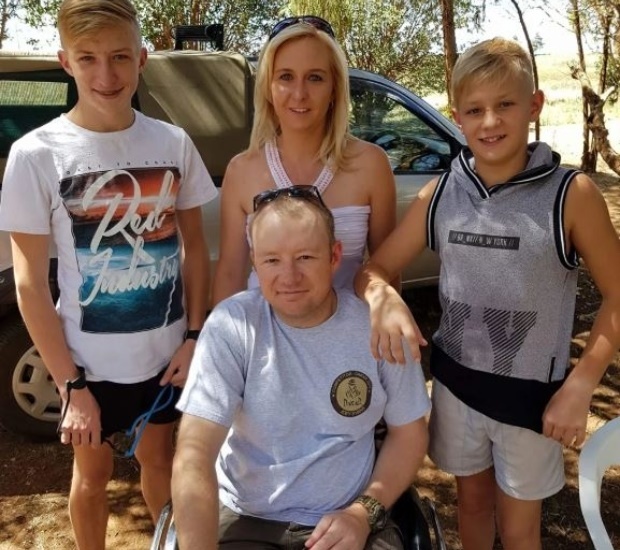 The Aspelings first saw the man responsible for Lennie’s paralysis in December 2017 in the magistrate’s court in Mookgophong. “By that stage, I’d made peace with what had happened to me and when the magistrate asked if I forgave Frans, I could honestly say yes,” he recalls. Frans was found guilty and sentenced to six months in prison for reckless and negligent driving. “In the beginning of this year the department of correctional services contacted me and asked if I’d meet Frans when he was released from prison and I agreed. He apologised to me because he’d been living with so much guilt that I’d ended up in a wheelchair because of his actions,” Lennie says. Lennie says he hasn’t seen Frans since but that they parted on good terms. “Some of the people I work with say Frans has his own small chicken farm and that he seems to be doing well,” Lennie says. His advice to others is to learn to forgive because life’s too short to bear a grudge.